The Fastest, Easiest Way To Teach Elite-Level Pitching Mechanics... Without Risk of Injury! 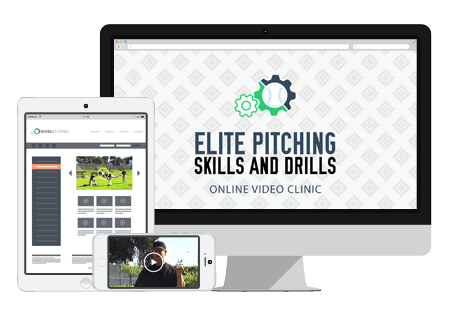 Introducing the Elite Pitching Skills and Drills online video clinic. Inside, you'll discover exactly how to "program" your pitcher's body to replicate the fluid mechanics of the most successful, most durable pitchers in the world. It's all designed to help your kids throw the ball harder, more accurately, and more consistently... WITHOUT the risk of injury. This coaching resource is jam-packed with simple techniques for maximizing the effectiveness of every pitch in your arsenal - for a nasty, knee-buckling breaking ball, a dominating change-up, an extra 3-6 MPH on your fastball, and precise command across the board.